Who does not want to be thought of? 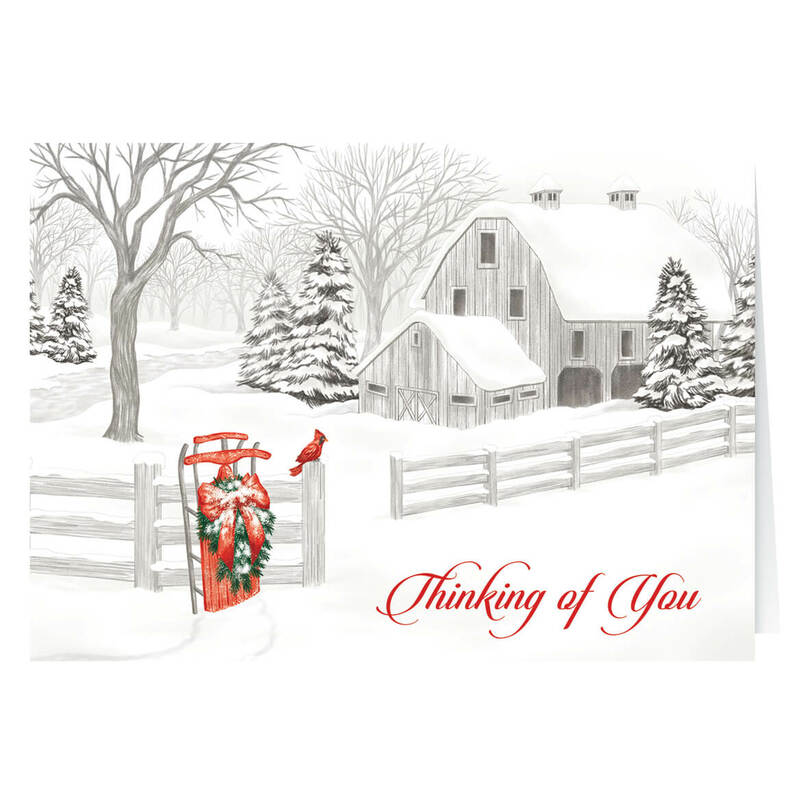 My friends and family loved receiving a Personalized Thinking of You Christmas Card. This is about the third year that I have purchased personalized Christmas cards from Miles Kimball. The cards are beautiful and I enjoy sending them to family and friends. I have Rheumatoid Arthritis in my hands and I am unable to do much neat writing. Instead of stressing over my writing, I chose these beautiful cards with envelopes.Thank you Miles Kimball ! the saying inside the card is what i liked and thats why i bought it and the design in the front of the card. Love these holiday cards and message. Sending out my holiday cards will be a breeze this year. My cards arrived quickly and perfect and as usual, Miles Kimball does not disappoint, thank you MK!! These Cards, Address Labels and Seals Are The Perfect Match! 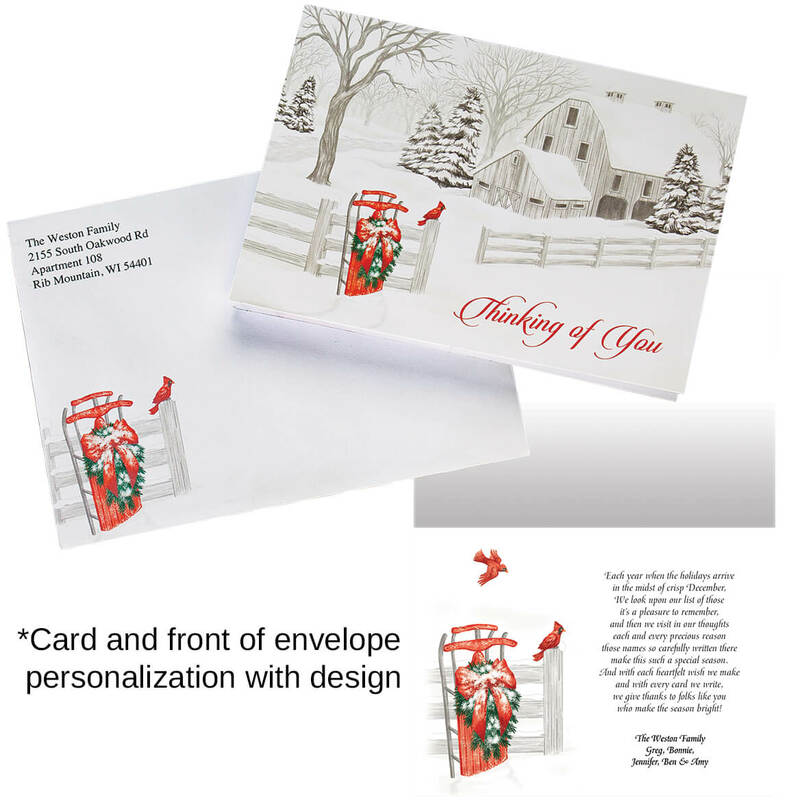 I ordered these Christmas cards along with the matching address labels and seals. A very nice collection all matching. I love the red envelopes that the cards came with also, as the picture on the card is mainly ? should I say black and white. 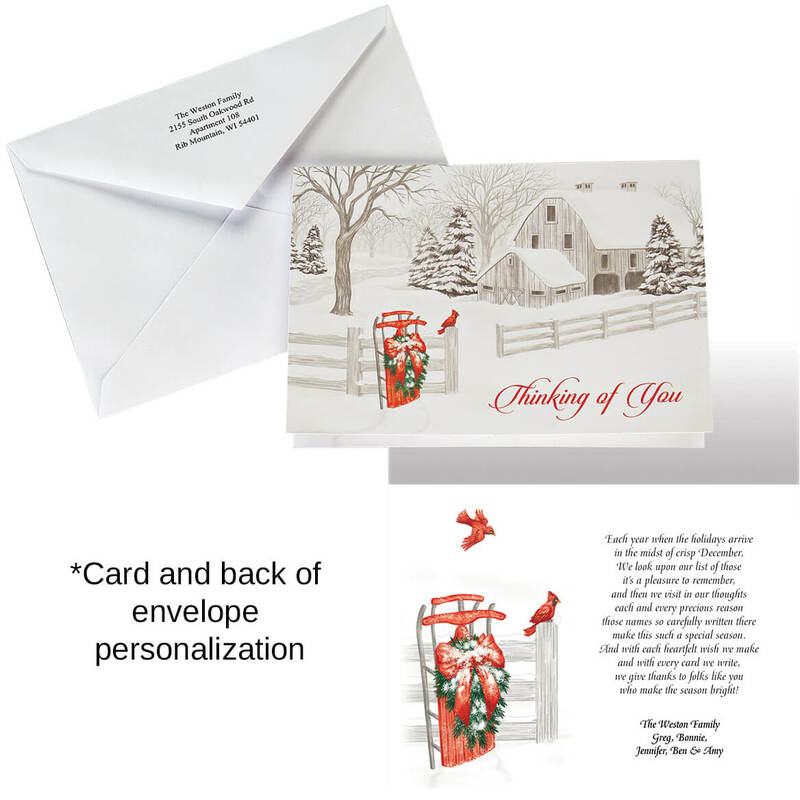 And what 'stands out' is the red sled and the writing, so the red envelopes are exactly what these cards need. I did order too late to use these for this Christmas as they had to personalize the address labels which took a bit longer. But now I'm all set for next year's Christmas! Good product and good delivery time. Personalized cards were correct and as advertised and the delivery time was excellent. Only complaint is, I did not receive a Christmas card catalog this year. Thank you for a job well done.